We Fitness lets you pick from aqua workouts, a traditional gym or even high intensity functional training. It’s also great for motivation as its atmosphere is encouraging. At WE Fitness you have the liberty to choose a particular activity you want to perform. If you’re enthusiastic, then you can even pick a combination of activities for a particular period – from aqua fitness workouts and gym to WE group classes and swimming. There’s also personal trainers to help you with focussed attention. 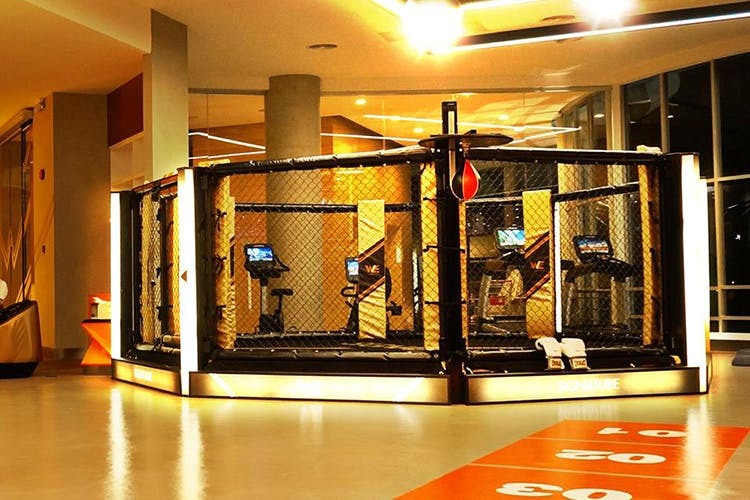 The ambience is quite welcoming and motivating, for those of us who feel lazy to work out. Workouts actually seem fun, and though I go for aqua aerobics, it isn’t the only activity they’re known for. They have swim classes for the old, young kids, women and anyone in between! They also have courses for those aspiring to be fitness trainers. Whatever you want from a club, somewhere to exercise or swim, enjoy aqua aerobics, perform functional high intensity training, exercise through dance aerobics or Zumba, this place offers it all. They also have flexibility, balance and relaxation activities like Yoga. But if you’re very serious about getting holistically fit, try the suspension training, kettle bell swings, wall-climbing and open air workouts. The last one involves tyre flips, cycling, sand bag or sand can workouts, similar to CrossFit training. The trainers are really motivating, it’s great for beginners to get into a fitness routine, and also for seasoned folks to carry on enthusiastically.